Fallout 76 Public Workshops are very different to C.A.M.P. settlements in a number of ways, chief among them is that they offer heaps of resources right off the bat – simply kill any nearby mobs, claim the Public Workshop and you have access to more scrap than you know what to do with. The downside? As hinted at by their name, Public Workshops are not yours to keep forever and other players can contest ownership at any point. Likewise, if you log out or the servers go down you will also lose your Public Workshop ownership, so don’t get too attached. You will also have to routinely defend against waves of increasingly tough AI enemies, so make sure you place down as many turrets as possible the second you get control over the workbench. You can also harvest rare resources at Public Workshops like minerals, making these sites you’ll want to control for long stretches of time. For this reason we advise setting up your C.A.M.P. close to the Public Workshop you want to control so you can easily move resources between the two and react to enemy attacks. You’ll be sharing each server with between 24 and 32 people, so with roughly 16 Public Workshops scattered across Fallout 76’s Appalachian wasteland there simply aren’t enough to go around. That’s why it’s very helpful to know where all the Fallout 76 Public Workshops are located, so you can pick the ones that are tucked out of the way and thus less likely to be attacked by other players. If you’re following the main quest of Fallout 76 then this is probably the first Public Workshop you will come across. It’s in a small divot loaded with junk, which makes building a little tricky to start with, but its base resources are are plentiful if you can extract them. Here you’ll find Titanium, wood, concrete, and junk. This Public Workshop is in The Mire region, north of the Crevasse Dam. This will be a hotly contested spot as it boasts a Fusion Core Manufacturer and on-site power. Another Public Workshop in The Mire, you’ll find this spot, as the name suggests, just on the western edge of the town of Berkeley Springs – we don’t currently know what resources are available here, but this will be a good spot for farming Scorched for XP. 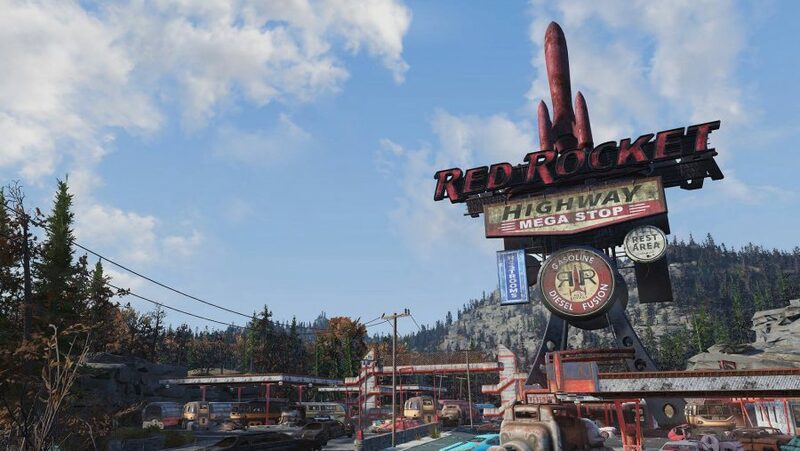 Located in the northeast of the area of Appalachia, on the border of The Mire region, the Red Rocket Mega Stop boasts some great resources, namely Aluminium, Nuclear, Steel, and plenty of floor and water. The main selling point for this Public Workshop is that has a Fusion Core Processor that can be powered up if you complete the relevant quest – very useful if your build relies on Power Armor. You’ll find this Public Workshop at the power plant southwest of Monongah. Adjacent to Grafton Steel in the Toxic Valley region, this Public Workshop is one of the best to hold in terms of resources and farming XP. Once you clear out the area and claim the Workshop you’ll start reaping the resources from the two Steel Harvesters located on-site. There’s also a Vertibot that will help you defend against enemy attacks, making this quite a good spot to hold onto if you want to level up fast. You’ll find the Hemlock Holes Maintenance Public Workshop in the northwest corner of the Toxic Valley region. We haven’t been able to spend much time here, but this is one of the few places in the game where you can find crystal deposits. This Public Workshop is located just by the giant ferris wheel in The Forest region of the map. You can farm Fertilizer, Silver, Aluminium, and Steel here. Head directly west of Flatwoods and you’ll find this well-kitted Public Workshop, complete with a power box, and resources like Packaged Food, Aluminium, Fertilizer, Junk, and Concrete. 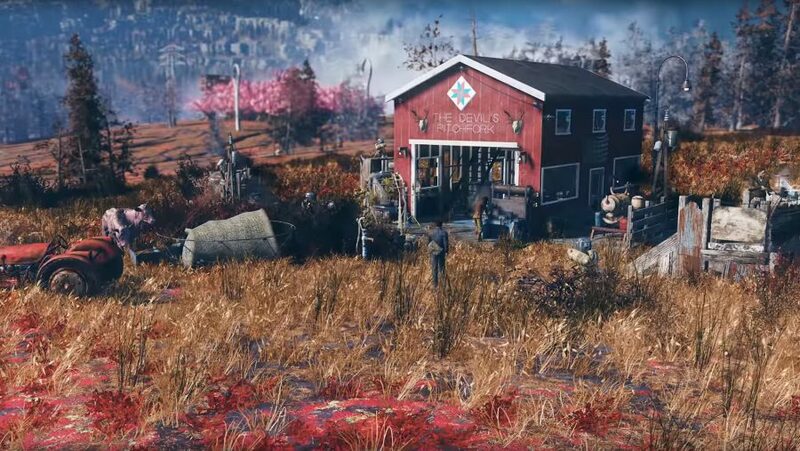 This Fallout 76 Public Workshop is located in the southeast corner of The Forest region and is a spot you’ll want to occupy at some point as it has rare Copper, crystal, and gold deposits, as well as plenty of food, water, and some fertilizer. You can find this Public Workshop directly south of The Giant Teapot in The Forest region. Like the other plants on this list, the Poseidon Energy Plant Yard’s best asset is its massive power supply. 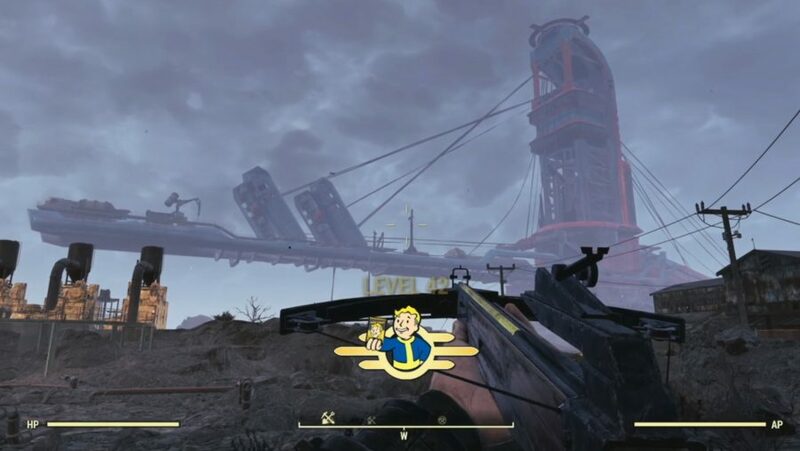 This is one of our favourite Fallout 76 Public Workshops as the debris from the landfill provides this spot with plenty of choke points that make defending it much easier. You’ll find this spot directly west of Charleston. You can also find copper here, which is a very valuable resource as you look to improve your C.A.M.P. Head southwest from Summersville in The Forest region to find this Public Workshop. Unfortunately, we haven’t managed to capture it yet so can’t tell you what resources are there, but we will update this guide as soon as we find out. In the middle of the Ash Heap region, dominating the skyline, is Mount Blair. There’s a Public Workshop here that will be the envy of the whole server because it activates the gigantic resource collector that will generate steel, gold, aluminium, nuclear, titanium, and other resources for half an hour. At the very bottom of the Appalachia map you will find the rather alien-looking Federal Disposal Field HZ-21 Public Workshop. This spot is covered with nuclear waste, so you’ll want to don a hazmat suit and down some Rad-X before approaching it. The upshot of all those Rads is that there are three places to harvest nuclear material from at the Public Workshop. You can find the Spruce Knob Public Workshop in the Savage Divide region of Appalachia. Unfortunately, we’ve not captured it yet, but we’ll let you know what to expect from this Public Workshop as soon as we manage to do so.